Centre Soccer Association is excited to again be able to host a PA West ODP Training Site for all players who reside in District 5 at Fogelman Fields in State College, PA beginning this Spring. This program is open to all players in District 5 - Mountain with the following birth years, 03 to 00 (and 99G). Players need to attend tryouts or be evaluated to participate. Players that are selected will attend all Training Sessions, can go to Camp and have the opportunity to be selected to attend the Region 1 Tournament as a player for the PA West team. More Tryout Info (Updated 8/8/14)...here. - IF YOU WOULD LIKE TO BE EVALUATED PLEASE CONTACT LISA COLE. Winter Indoor Training Sessions - will begin at the end of Jan and run through March. Sessions will focus on technical training, small sided games designed on problem solving in tight spaces. The training will prepare players for the spring training. Winter Goalkeeper Training - This training will be focused on handling and footwork in goal as well as developing good distribution. Dates: TBD - will happen in the Spring only. - PSU Coaches from both programs have agree to come out and run some of the Spring training sessions. - Other College Coaches are committed to participating as well. - The PA West Team Coaches will be traveling out to see the group in State College. The tryout fee is $30 for all online registrations. You can pay online with a credit card or send in a check to: PA West Soccer, 111 Whitehead Lane, Suite 200, Monroeville, PA 15146. WHAT IS ODP? PA West/US Youth Soccer Olympic Development Program or ODP as it is commonly called is a national identification and development program designed to identify youth soccer players throughout the country, to represent their state (PA West) association, Region, and the United States in soccer competition. ODP pools are formed at the state and regional levels, made up of the best players in various age groups. At the state association level, pools of players are identified in each eligible age group, brought together as a team to develop their skills through training and competition. From the state pools, players are identified for regional and national pools and teams. 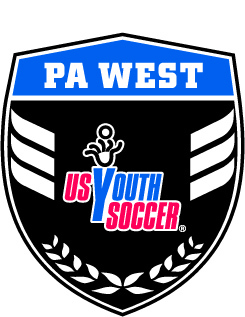 PA West ODP is one of 15 state associations within US Youth Soccer Region I. Any soccer player is eligible for consideration to participate in ODP provided that he/she meets the age requirements for the established age groups. A player may not tryout for ODP in more than one state association. The Mt. District ODP Pool is a part of the PA West pool that trains in Pittsburgh, PA. Coaches from each team will come and evaluate players for the PA West ODP Team. BENEFITS OF PARTICIPATING IN ODP? 1.Development as a player with the opportunity to train and play with the best players in one's age group. 3.Quality competition with games against other state association ODP teams. 4.The opportunity to represent one's state, region or country in competition.